This is a special day for me! to show you my brand new jacket! I must say I like it a lot! It’s so girly and pretty with its soft lines! the wavy borders and the crochet flowers. You can purchase the pattern and start working the jacket right now! Sizes: 2-3 years and 4-5 years. Go to the Ravelry shop for instant download here. you'll find the pattern here! and the blue top is here! and the hat is here! But what about this pink hat made for the cardigan! I love the whole ensemble! 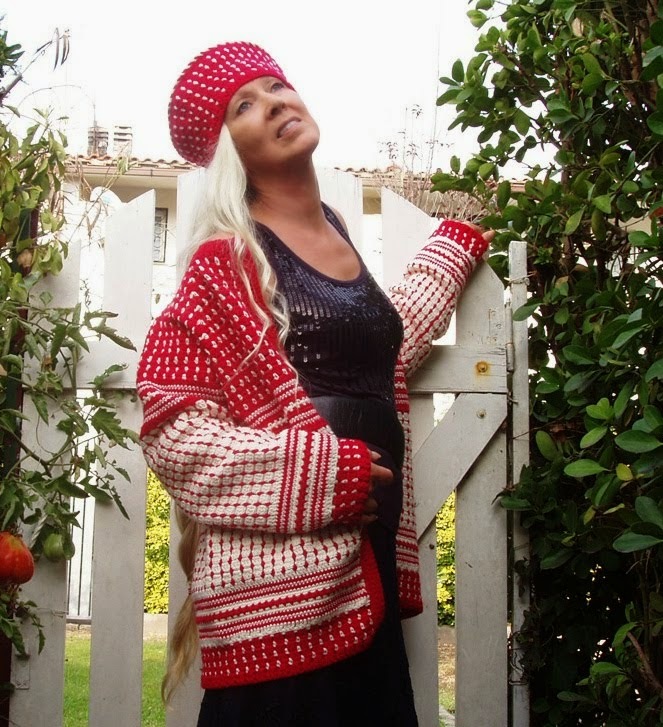 I would like to make the cardigan, hat, skirt and top for my daughter. However she just grew out of size 5T and is now a size 6. Is there a way to alter the pattern to fit her?